Part of the Really Useful nestable range. The nesting facility allows the boxes to be stored inside each other when not in use or in transport. Comes complete with lid and locking handles. Perfect for use around the house or the office. 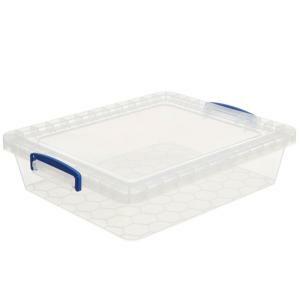 The perfect storage soltion for those business, craft or personal items.